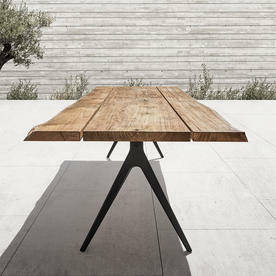 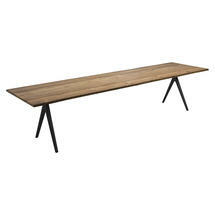 Gorgeous natural raw teak outdoor tables. 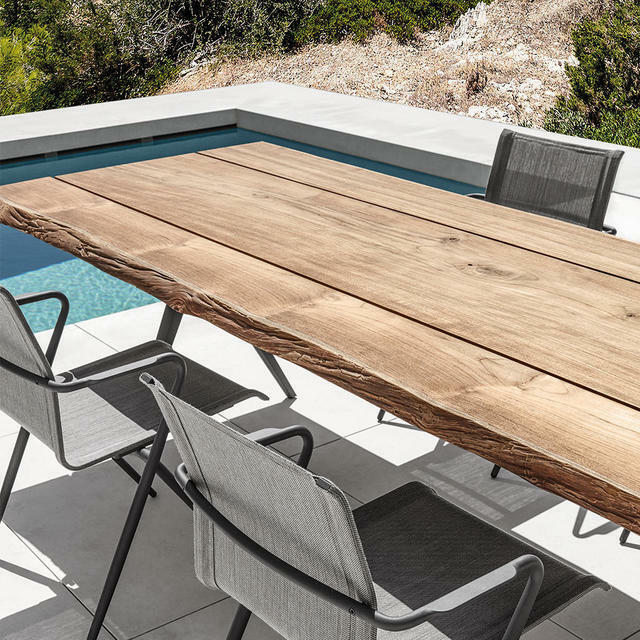 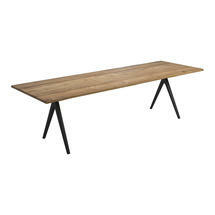 With a twist on the tradition, these large Split Raw buffed teak tables by Gloster are a contemporary take on the simple refectory style table. The large Raw buffed teak table is made from a powder-coated aluminium frame in meteor black to give the feeling of air and light, with 3 large raw buffed teak panels for the table top. 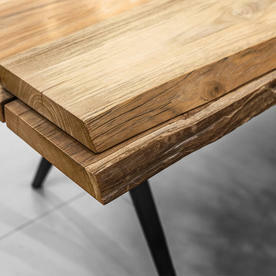 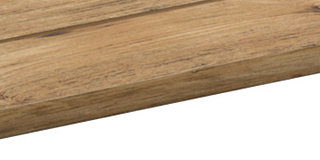 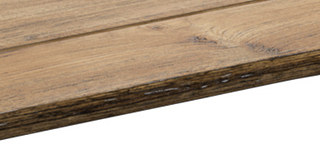 With simple natural edges, the beauty of the wood is allowed to be seen in all its glory. There are no parasol holes in the Split tables. 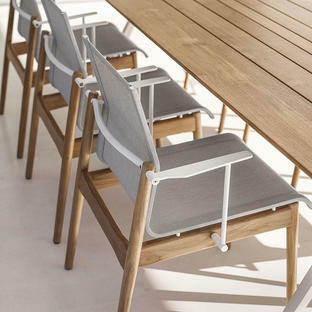 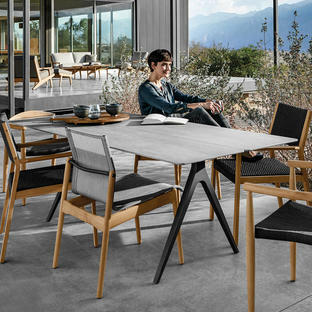 Team the Split tables up with chairs either from the Curve collection, or the Sway dining chairs or for an on-trend mix and match use chairs from both collections but keeping the frame colours the same through out. 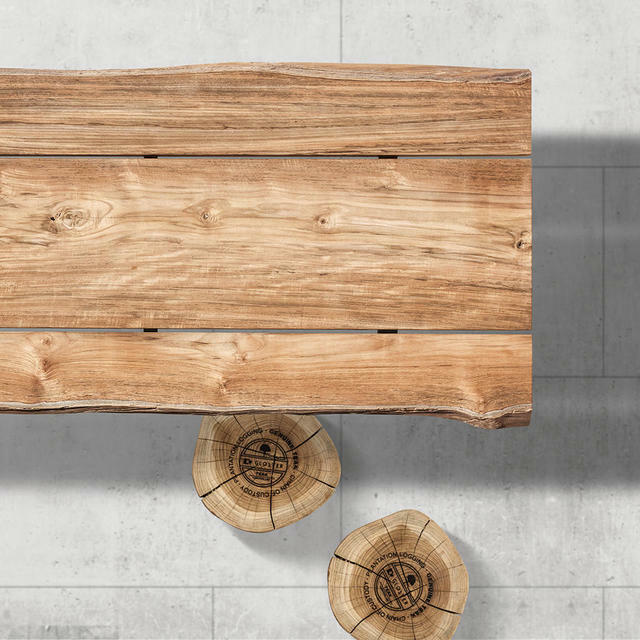 Natural Sapwood Edge - please note that this table needs to be situated in a covered area, protected against rain and the elements.